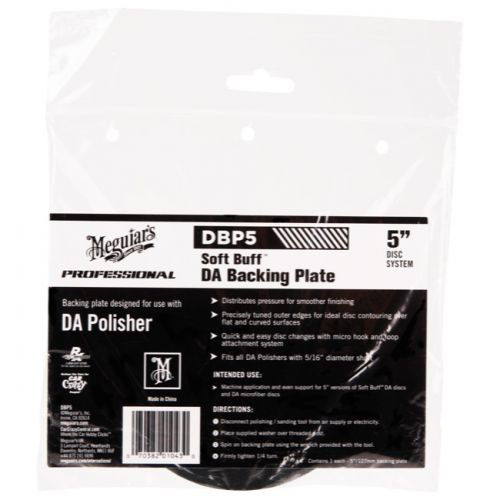 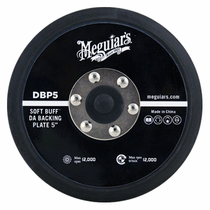 Meguiar’s 5” DA Backing Plate was designed to distributes pressure evenly for a smoother polishing and finishing process. The outer edge of the Meguiar’s 5” DA Backing Plate is precisely tuned to contour Meguiar's Soft Buff DA 5" Foam Pads or Meguiar's DA 5" Microfiber Pads over flat or curved surfaces. 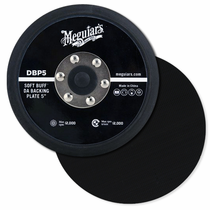 Meguiar’s 5” DA Backing Plates feature a rotation indicator marking that allows the user to recognize backing plate rotation for better results.